Last week during an interview on CFMU, host Jamie Tennant asked me which Steel City Jazz Festival concert I thought would be the most interesting this year. Jamie diplomatically didn’t ask me to pick a favourite, just a show that I thought might be special in some way. One band immediately came to mind: the (now incorrectly named) Carlos Rodriguez Trio, playing at Artword Artbar on October 18th. 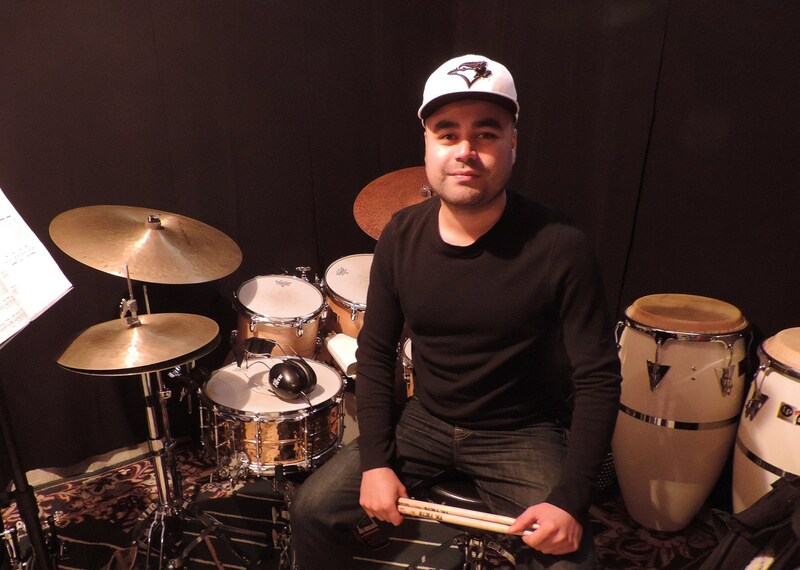 Carlos Rodriguez is a fantastic drummer, a Mohawk grad and the leader of the amazing Latin Vintage Orchestra. The reason I so quickly picked Carlos’ group is because I had seen him earlier that week, and he had mentioned to me that he was expanding the lineup from a trio to a quintet (hence the now-incorrect name). Carlos seemed really excited about the music he’d picked for the show, excited enough that he decided to add two extra musicians! The rounded-out lineup features vocalist Ashley St. Pierre, Rob Fekete on piano, Fhanor Molina on bass, Mike Filice on tenor sax and flute, and of course Carlos on drums. Carlos is a fantastic drummer himself, and he’s got a seriously talented band. A great group of musicians playing music they’re excited about is always a recipe for success. I think the reason I’m most excited for this show though is because Carlos really knows his stuff. My own knowledge of Latin Jazz is fairly surface-level; I could tell you that Dizzy Gillespie gets credit for kicking off the Latin Jazz movement, but not much before or after that. Latin American music is every bit as complex and rich as Jazz, and Carlos is someone who understands that history and has the skill to bring it to life in his playing. You can catch Carlos Rodriguez on October 18th at Artword Artbar. Tickets are $15, and can be reserved by emailing artword@artword.net. Come out for a night of mambo, rumba, cha cha, bossa nova, danzon, samba and more!